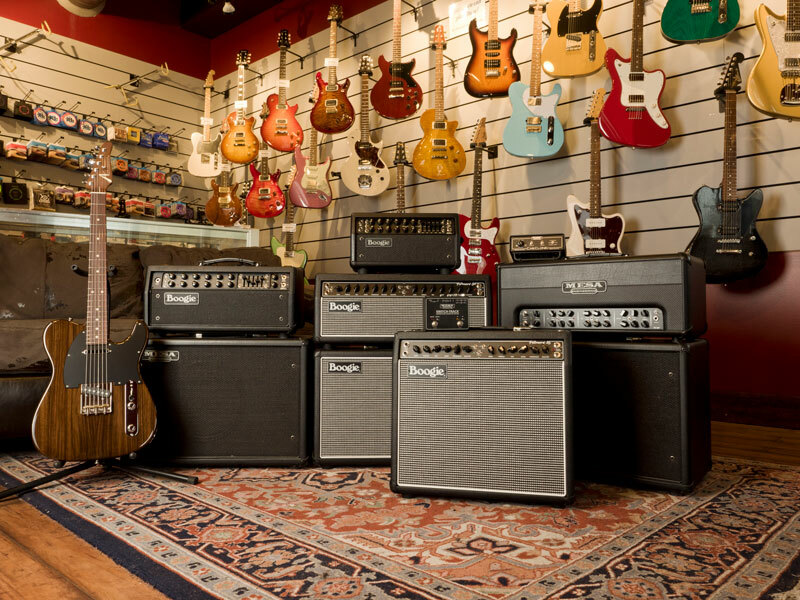 Founded in 1999, Sound Pure is the place to demo and purchase the finest boutique and high-quality guitars, amplifiers, drums, professional recording equipment, and more. Our showrooms and recording studio are located in downtown Durham, North Carolina, however we serve customers all over the world. 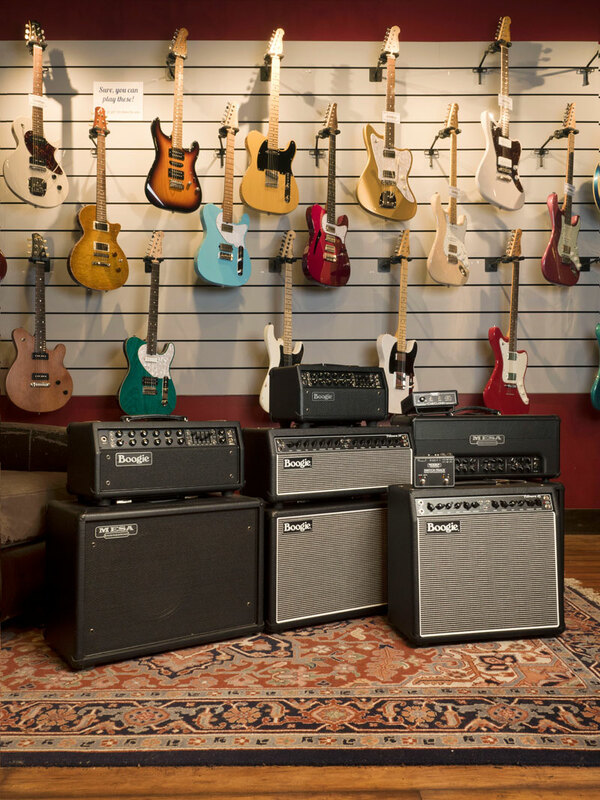 Sound Pure has been working with MESA/Boogie for nearly 10 years, and Eddie Berman (one of our amazing guitar specialists) has been working with MESA/Boogie for over 30 years! 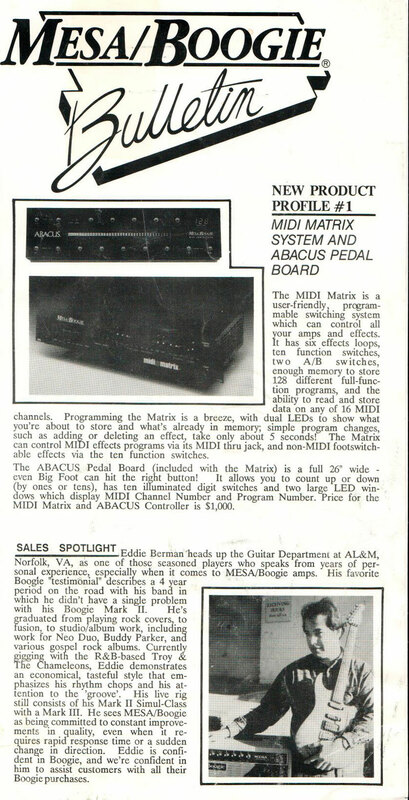 In fact, Eddie was featured on the cover of Mesa/Boogie's very first newsletter in 1989 (see the attached picture)! Sound Pure is a full-service music-gear business run by a small team of specialized experts who care deeply about our customers and the products we represent. We strive to build real relationships with our customers by truly understanding both their short and long-term needs. We carry only music products we believe in: hand-selected brands and individual guitars, amplifiers, drums, pro audio gear, and accessories. We are focused on value and serving all price points, and our inventory is constantly evolving. Our team of true industry experts and influencers has over 100 years of combined experience in the business, including teaching and performing. In addition to sales, we operate a world-class, Grammy-nominated recording studio, making Sound Pure a place where we can truly practice what we preach. Sound Pure serves a wide range of customers, from professionals to beginners, and everyone in between. Some of our past clients for both our shop and recording studio include Bruce Springsteen, Branford Marsalis, Shirley Caesar, George Benson, Ray LaMontagne, John Leventhal, Clay Aiken, Lil Yachty, Jamareo "Jam" Artis, and Gary Larson. Also, an interesting fact: the voice of Google Voice was recorded here at Sound Pure Studios. Our customers are often looking for maximum versatility in the smallest possible package. Also, the classics have stood the test of time!